You must make reservations at least 5 minutes in advance of the time at Sansei Seafood Restaurant & Sushi Bar - WAIKIKI, Oahu. Dinner: Sunday - Thursday: 5:30pm - 10:00pm, Friday - Saturday: 5:30pm - 9:30pm. Late Night: Friday - Saturday: 10:00pm - 1:00am. Parking in the hotel. Self parking = 3 hours complimentary, valet parking = $12 flat rate. Off property caterings and private dinners from 20-200 covers. Plated or buffet style. Intimate Private Dining Room that can accomodate up to 22 people. Set menus or ala carte from our menu. 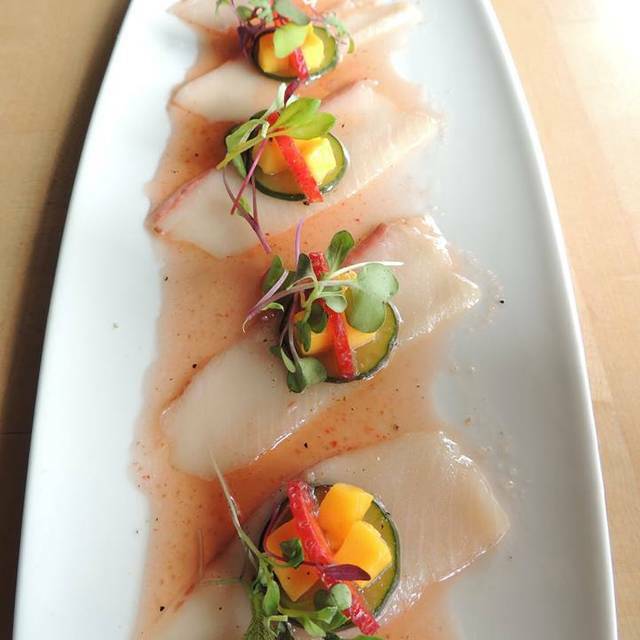 Sansei, meaning third generation, is a locally owned contemporary Japanese Restaurant offering new wave sushi. The force behind the food is Chef/Owner Dave "DK" Kodama. An Oahu native, he is fearless when it comes to flavors and one of the most adventurous chefs you will meet. 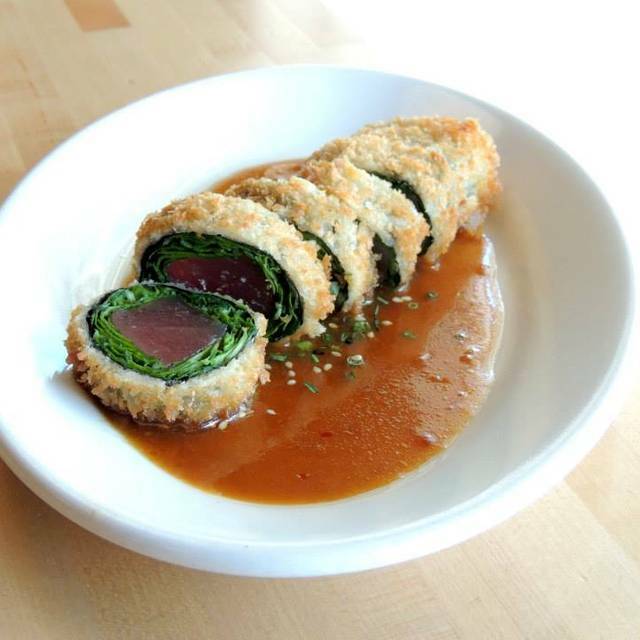 At Sansei, he has combined his Japanese heritage with Hawai'i's incredible ethnic mix and the flavors he experienced in his travels to create a New Wave Sushi, Japanese-inspired Pacific Rim, Contemporary Japanese type of cuisine. Call it whatever you like. What you will taste are unique combinations of flavors and textures. with sweet Maui onions, wakame & kaiware sprouts in a spicy poke sauce - Oishii! Amazing food! Great service! They even surprised us with a free dessert to celebrate our honeymoon. Everything we wanted in a good meal in Honolulu. Sushi Chef made the experience, would not hesitate to repeat at this restaurant. 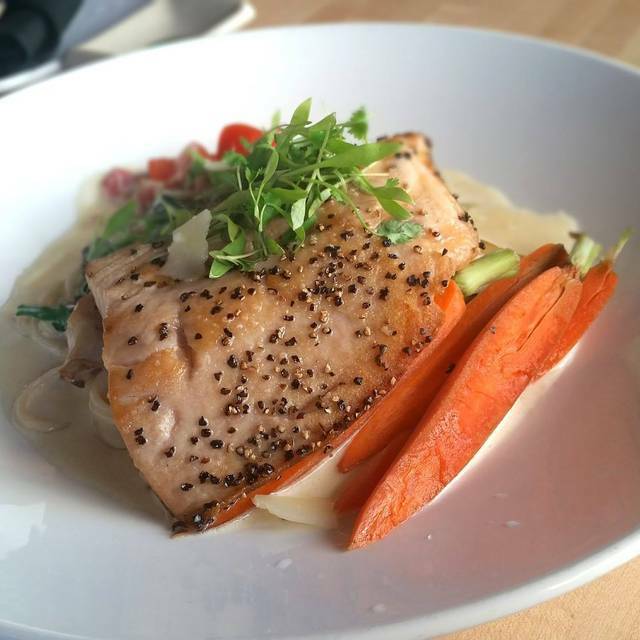 Food and service are consistently excellent! Sushi chef got angry w the server when she showed him the request for no fish eggs. It was too visible. Turned out well the second time. The shrimp tempura was mainly bread, meaning the shrimp was thin and lacking a bit. The oil used to fry needed to be changed we think, as it tasted a little funky/used. Service was pretty good, but during times where you get the most value, you can see the portions are getting smaller...especially when it comes to desserts! The apple crisp tart has gotten smaller each time we have ordered it since 2015. Now the total circumference of the tart is about the same as an apple, that’s a pretty expensive apple no matter how much caramel sauce and ice cream you put around it. Better just stick to ordering sushi rolls now, the kitchen food has not been up to par for a long time. If you’re ordering anything fried with oil that has not been changed, I would take note of the bathroom locations prior to eating, trust me, you’ll be glad you did in twenty minutes or less! I was disappointed about the service. When I arrived, the hostess did not event bother to take me to the table, she only pointed where my table was. The server was nice, but did not come back to add water. Food is good. Sadly not the right time of the year for outdoor dining. Delicious sushi with many unique options on the menu. Great service and ambiance! Fast service. Excellent food. Loved the Happy Hour 25% off special. The portions were quite small for the cost! Our waiter was fantastic though. We had. Been seated outside but right by the door so that was quite distracting with people coming and going. All rolls taste the same. Tempura batter is too thick. No dish presentation. Regular service. I can’t believe the high ratings from other customers. Very disappointing. We had to go to other Jap restaurant after to finish our dinner so we can feel better. We have Jap food almost everyday during our 10 day stay in Hawaii, this one is certainly a disappointment. Great location and ambiance, but food quality suffered. This is not a knock on Sansei. I have eaten at others in the chain, but on this night they were definitely not "on". The sushi was not the "melt in your mouth" quality I expect. My wife had to send back one of her rolls, which is something I have never seen her do. 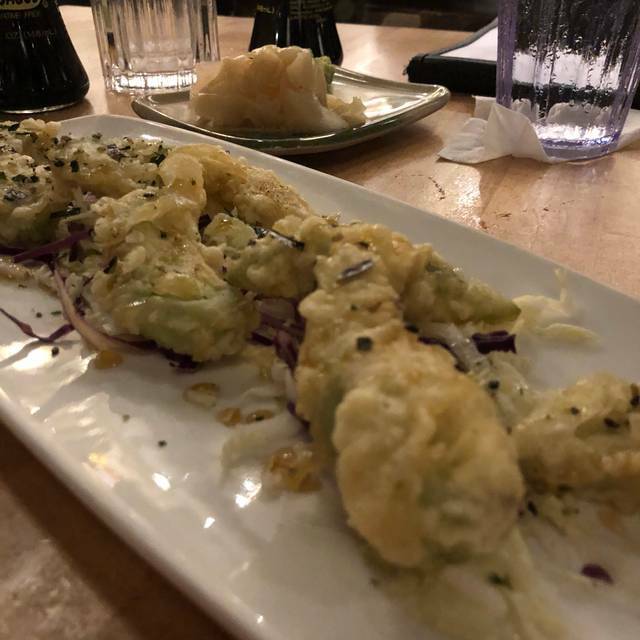 The vegetable tempura tasted raw and underwhelming. The server was great as was the atmosphere. You can't beat the location overlooking the ocean at Waikiki though. I may try this restaurant again to see if they just had a bad night. I believe in second chances. 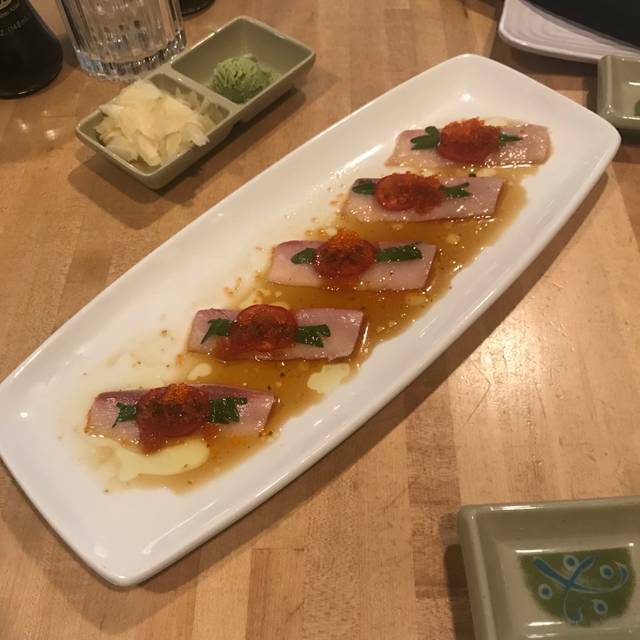 Sansei Waikiki was terrific! Def make a reservation. We walked right in for our 7:00pm and I think the wait was almost an hour. Service was incredible and our server was trrrifuc with the kiddos. 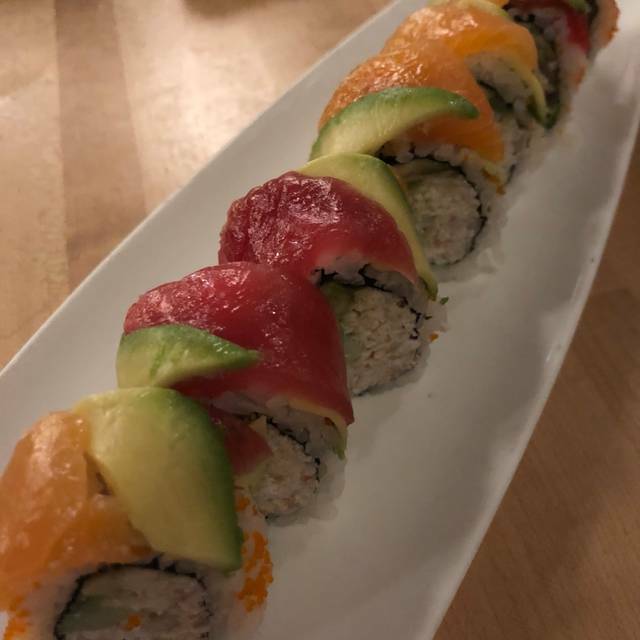 The double decker sushi rolls were delicious. Great sushi and kids menus. Highly recommend. Exceptionally good service and even better food. I recommend trying their signature fried sushi roll, the lobster mushroom ravioli, and misoyaki butterfish. 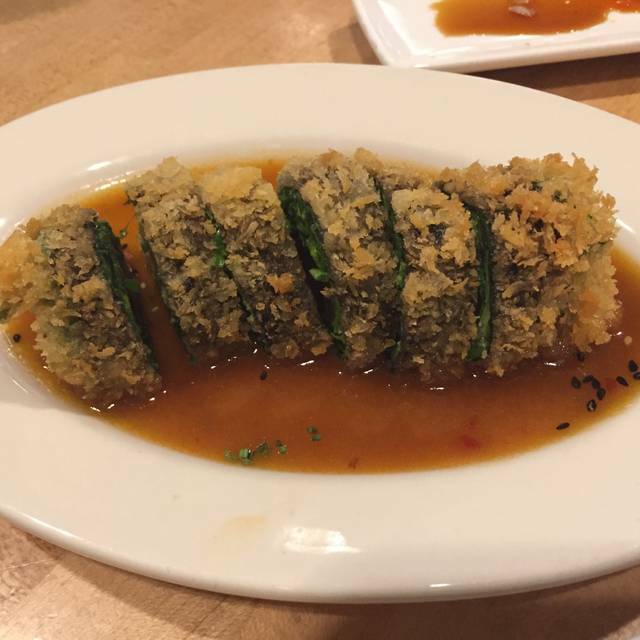 Their tempura vegetables are also a huge winner. The price point is great for the quality of service and food. Will be back again. As always the food is delicious. Our server, A.C. was great. The food and the service were outstanding. We ordered tempura and a nigiri platter and both were delicious! Sensei has AWESOME sushi and absolutely is a great place! 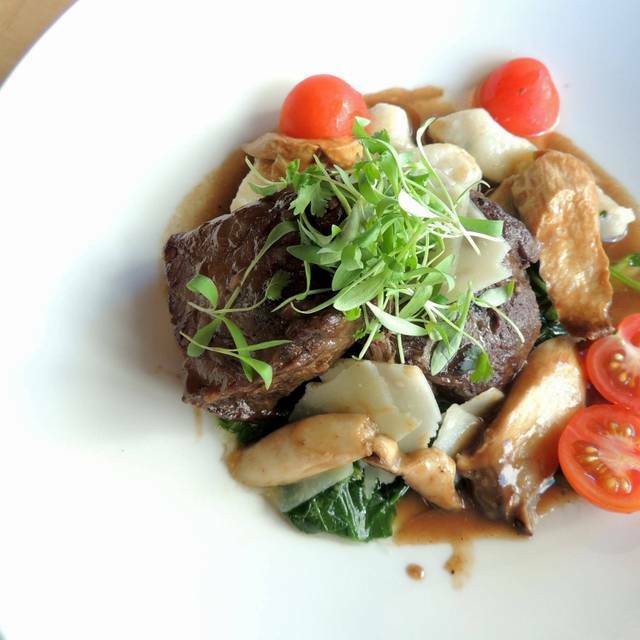 The food is priced fairly, but it is a high-end restaurant in Waikiki. I highly recommend. Our favorite sushi place in Hawaii ! Variety of great rolls...wow! And staff Ashley was knowledgeble about their food and was very attentive. Celebrated my birthday here. We had an awesome array of dishes from appetizers to dessert!! 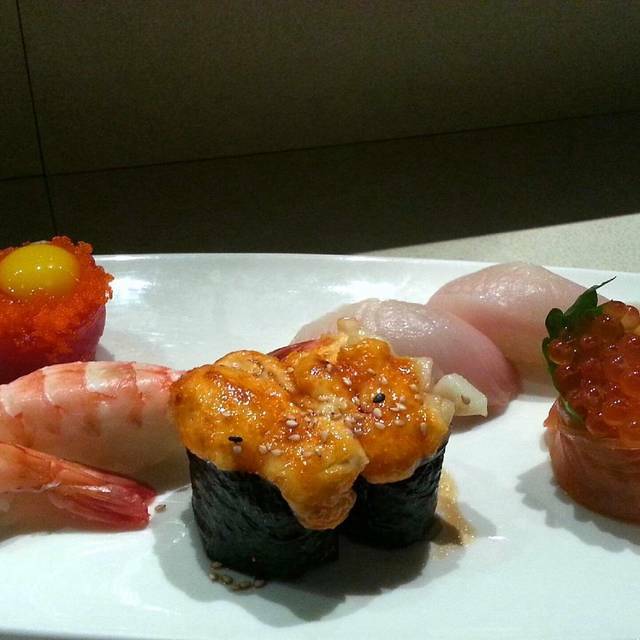 If you know sushi, you will definitely be disappointed. The sushi were small, tasteless and lacking fish. If you are not a connaisseur this will do just fine. Expensive because of its location, much better sushi further out. Dining was excellent! Nice birthday evening for my 36 yo son. Pleasant atmosphere. Great and accommodating vegan options for him and wife. Excellent sushi fare and filet was perfect! Thank you! Hope to visit the new place in Seattle. the staff is excellent but the food is seriously just OK and when it costs what it does it just feels bad. Also Alcohol is WAY TOO EXPENSIVE - that is a major deterrant. Excellent oyster shoot, and appetizers (fried shrimp and sushi appertizer plate). We tried the catch of the day, huge lettuce with a tiny piece of fish. It was not much, I would not have it again. A bit slow to get the main plate but the service was excellent. We had a very enjoyable experience at Sansei. The staff were professional, friendly and attentive. The food was amazing. Thank you for a wonderful evening. The food was excellent, and the service impeccable. Our hostess was awesome, she shared what items to try and what drinks would pair with them. Her personality was great. We will be back soon. Very stuffy for basic sushi. Not kid friendly. Food is fine but don’t get the hype on this place. Each staff member we come across had a huge attitude. Would not return. Food was absolutely delicious. We had kanpachi carpaccio, panko crusted ahi sashimi roll, lobster blue crab ravioli, king salmon and otoro sashimi. Each dish so delectable we could swear it was better than the previous plate. Our beautiful server was attentive and prompt, an outstanding evening. This restaurant was really great and my boyfriend and I had a great time.